Here you can meet the SI Leeds Literary Prize 2012 shortlisted writers, and learn a little more about these writers and their lives, histories and writings. I started writing creatively as a hobby while working as a freelance journalist. For fifteen years I wrote about financial and workplace issues for a variety of newspapers and magazines, including five years as Cosmopolitan magazine’s monthly money columnist. I began to take my creative writing more seriously while studying for an MA at Sunderland University. I continued my studies at Newcastle University, finally gaining a PhD entitled Uncertain Race: Writing Mixed Lives in 2010. Today I work as a community artist and creative writing tutor through my company Hereandhuman.com. I specialise in enabling people to represent life stories, whether their own or a real or fictional character’s. For example, this summer I was lead artist on the I-Move project ‘To Market’, helping a group of writers bring characters from the history of Leeds’ Kirkgate market to life for a promenade performance through the stalls. I also use a variety of media in order to make life stories accessible to those with limited language skills. So, earlier this year I worked for West Yorkshire Playhouse enabling a group of learning-challenged young people to produce a series of self-portraits using photography and graphic art. Through Hereandhuman.com I also run general creative writing courses in Leeds and Bradford for adults who want to improve their poetry and prose. Finally, my best production to date, my daughter Genevieve, was born in July this year. 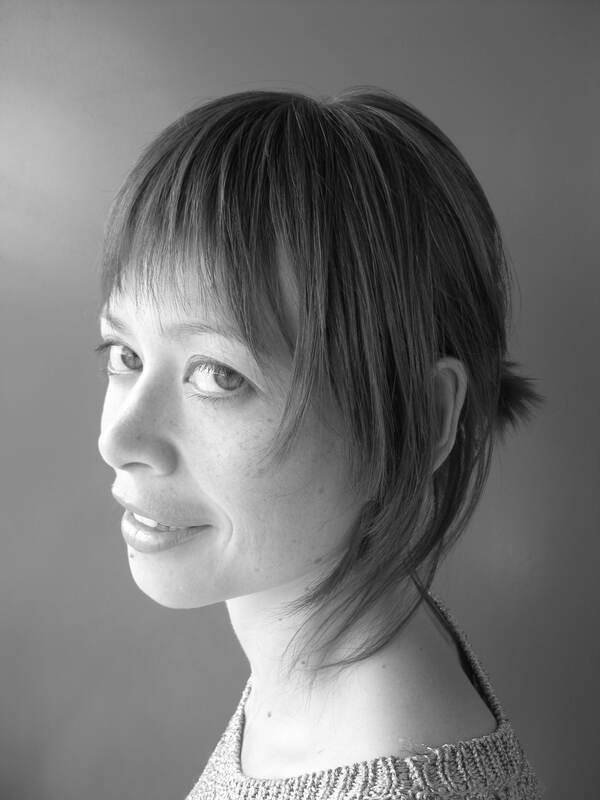 Emily Midorikawa is of English and Japanese origin. She grew up in Yorkshire and currently lives in London. 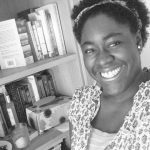 She graduated with a BA in history from University College London and an MA in creative writing from the University of East Anglia. During her early twenties, Emily lived for two years in Japan whilst working as a high school English teacher. This experience, and the stories her late mother used to tell her, inspired her to write A Tiny Speck of Black and then Nothing. The novel, framed around the disappearance of a Western nightclub hostess, is her first longer-length work of fiction and her entry for the 2012 Prize. Emily’s writing has been published in, amongst others, Aesthetica, Mslexia, The Times and the UEA anthology Otherwheres. 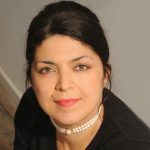 She has also been a recipient of a Mentoring Scheme award that allowed her to work for six months on her prose with the crime novelist Jane A. Adams. Emily is a visiting writer and tutor for the Circle of Missé retreat and she was a judge for their 2012 writing competition. In the past she has held down a variety of jobs, including that of a bookseller, a secretary and a dental receptionist, but she now makes a living teaching writing, currently at NYU in London and with the Open University. More information about Emily’s work can be found at www.emilymidorikawa.com. She is represented as an author by Ariella Feiner at United Agents and she is working on her second novel. My name is Karen Onojaife and I am a 31 year old Londoner. From the earliest time I can remember, I have always loved books. The transition from simply enjoying them to deciding I would try writing one myself came when I was about fourteen, leading me to complete my first ‘manuscript’. Unfortunately, this Mills & Boon pastiche (with a ‘Point Break’ style subplot) went missing many years ago – humanity’s loss, clearly – but I never forgot the sense of satisfaction at having created a universe and populating it with my very own characters; the only thing left was to try and get better at writing! I eventually joined a writers’ group, which got me into the habit of writing regularly, as well as interacting with other writers and reading my work at local literary events. I focused on short pieces for several years, during which time my work was long listed for the Bridport Prize in 2007, and the Fish Prize Short Story Competition in 2011. I love and continue to write short fiction. However, I also wanted to experiment with longer pieces, so about four years ago, I started writing a novella. This novella eventually grew into the novel which, after numerous rewrites and name changes, became Borrowed Light. I hope to have Borrowed Light published one day, and I am so pleased that it has made the shortlist for the inaugural SI Leeds Literary Prize. Making the short list has helped to reinforce my commitment to writing and I am currently carrying out background research for my next novel. Born in Malaysia, Minoli Salgado is a writer and academic of Sri Lankan descent. She was raised in Sri Lanka, South East Asia and British boarding schools in Malaysia and England – an experience that has informed her long-standing concern with displacement, migrant identity and finding a space for marginalised voices to speak. 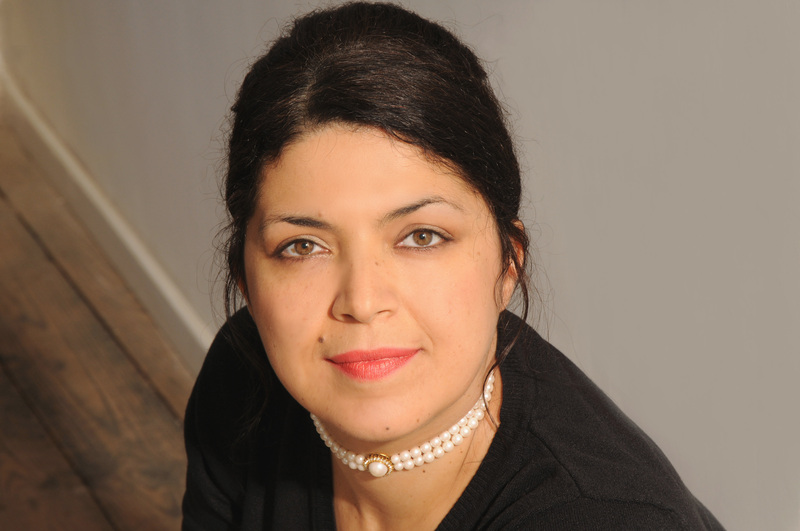 Her fiction and poetry have been published internationally – in journals such as Wasafiri, Short Story and Asia Literary Review – and anthologised in the UK and US. 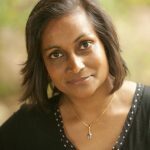 One of her short stories was Highly Commended in the Commonwealth Short Story Award (2009) and subsequently broadcast globally, and she has worked with English PEN to highlight the issues of censorship and enforced disappearances in Sri Lanka. 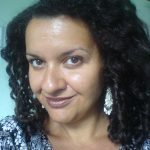 She has studied at the Universities of Sussex, Manchester and Warwick, and currently teaches postcolonial literature at the University of Sussex. Her critically acclaimed monograph, Writing Sri Lanka, was the first critical study of Sri Lankan literature in English in relation to the civil war. She is now studying the intersection between human rights discourses and literature, and the ways in which writers bear witness to politically sanctioned violence. 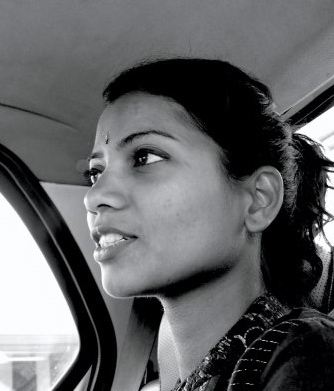 She serves on the editorial board of Wasafiri, the Journal of Commonwealth Literature and the Journal of Caribbean Literatures, and was recently selected as the poet to represent Sri Lanka at Poetry Parnassus, part of the Cultural Olympiad and London 2012. She lives in Lewes, East Sussex, from where she makes real and imaginary journeys to her ancestral home. 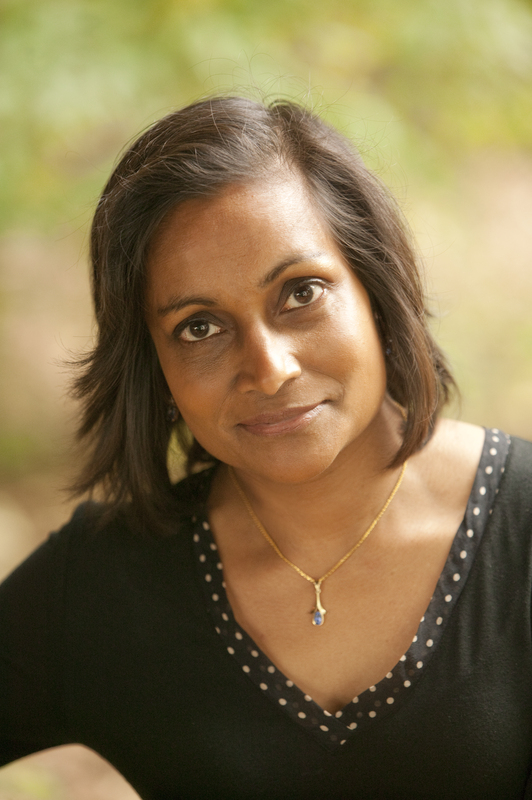 Anita Sivakumaran is an author of both poetry and fiction. She was born in Madras, India, and has lived in the UK since 2004. Her first poetry collection, Sips That Make A Poison Woman, was published in 2011, after she won the Ravenglass Poetry Prize. The poet Graham Mort describes the collection as ‘having the force of parables’ and ‘glinting with dark humour’. She was a finalist for the 2011 Asham Award, and her short story Pandian Uncle And His Ghosts is published in the collection Something Was There by Virago. Her poem Dark Skin was longlisted for the 2011 Montreal International Poetry Prize. Ice And Ice Age is a poem published this year in the collection Out of Bounds: An Anthology of Black and Asian Poetry, from Bloodaxe. 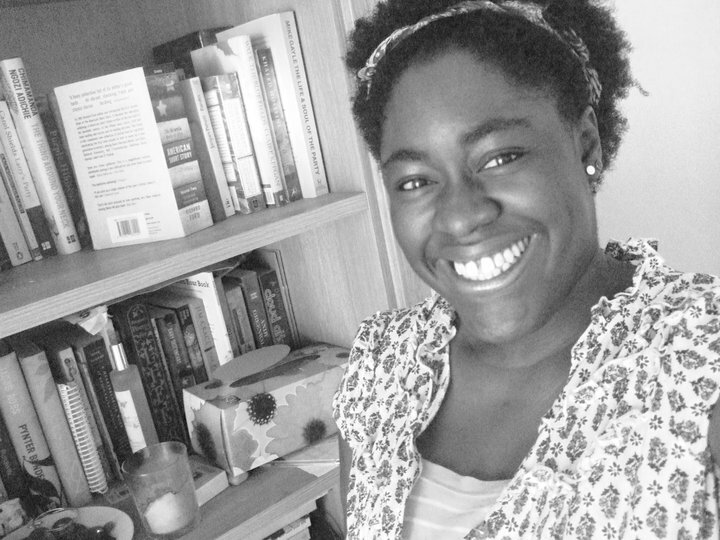 Recently, she won a commission to write a series of poems about multiethnic Leicester. Five Voices, Leicester will be exhibited at the Charles Wilson Library, University of Leicester, and the Leicester Central Library later this year. 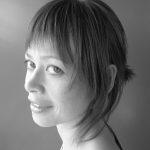 She will be reading her work at the Leicester Literary Festival on November 8th, 2012. 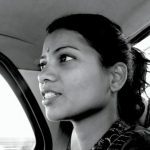 Anita is currently working on a collection of stories reimagining patriarchal Indian myths from the female point of view for her PhD at the University of Leicester. She also has a contemporary novel in its second draft. 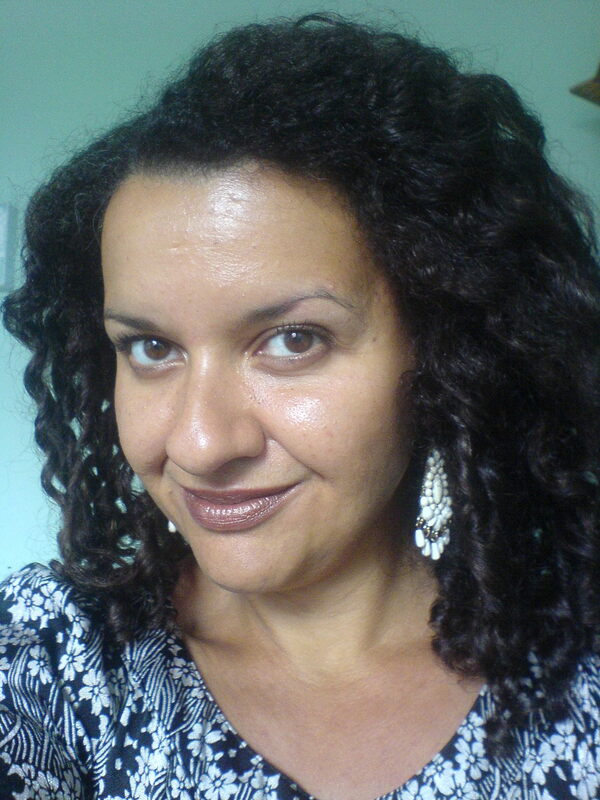 Jane Steele was born in 1969 in an unmarried mothers’ home in Chapeltown, Leeds, to a courageous 20-year old mother from Wakefield and an absent Trinidadian father. She was told about the latter parent at the age of ten, which cleared up some confusion. She loved writing, performance and Liverpool from being very young. In around 1980, she had her first short story published in the ‘Wakefield Express’. It was about a robot from a land of green snow. Give it a few years and we’ll all be living the dream. She was raised primarily by her Wakefield grandparents who gave her many great things, education included. This enabled her to go to university – King’s College, London. She did next to nothing because it was the era of acid house. However, she graduated in English Literature, came back to Wakefield and got a high-flying, degree-level job in…. a call centre. Here she used to wear dark glasses to combat the lighting. People said she looked like Roy Orbison. In 1992 she made it to Liverpool for 13 unforgettable years gaining, among other things, an MA in Writing from John Moores University. That year she also began to meet her precious Caribbean family. She returned to Yorkshire in 2005. The following year she began doing stand-up performance poetry in venues around Leeds and Wakefield, notably with the Red Shed who published her first poetry collection, Natural Light, in November 2010. She lives in Bradford.